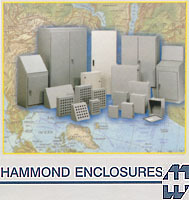 Hammond is an enclosure manufacturer with a number of "firsts" to its credit. First with stainless steel hardware, a recoatable painted finish, and first with an installed ground stud. Hammond also includes the back panels with most enclosures, eliminating the need to add part numbers. If you think it's about time you found different answers to your enclosure needs, try Hammond. Westinghouse Lighting is a global powerhouse with distribution facilities around the world stocking over 5,000 items—all united under the trusted Westinghouse brand. Our philosophy is powerfully simple: make life easier for everyone who buys or sells our products. We offer hundreds of ceiling fans, lighting fixtures, lighting hardware and accessories as well as thousands of light bulbs for both consumer and commercial applications. We recognize the importance of our products and know that they must be matched with exceptional service and quality. Our international team of employees is dedicated to the goals of making quality, reliable, and innovative products while providing valuable customer service that you can count on to make your life easier. Bussman products include the most extensive circuit protection products approved for use in a variety of major standards: UL, CSA, IEC, not to mention European standards (DIN, British). Bussman understands the crucial role circuit protection products play in all applications. Knowledgeable. Responsive. Customer focused. Bussman continues to set the worldwide standard for circuit protection. Like the industrial contractor fields it services, Klein Tools has grown dramatically since 1857. The product line has been broadened to include virtually every major type of hand tool used in construction, electronics, mining, and general industry, in addition to the electrical and telecommunications fields. Klien also supplies a line of occupational protective equipment. Klien tools remains dedicated to supplying only the finest quality products for the professional.